Any time a person experiences stress or hardship they may feel some sort of anxiety that eventually passes. Anxiety can be a completely normal response to certain stressors that occur in day to day life. However, someone with an anxiety disorder may spend several hours every day worrying about issues that are not immediately affecting them. What makes an anxiety disorder different from normal anxiety is that the feelings of fear, worry and stress are not temporary but become a constant problem. Often for people with some type of anxiety disorder their feelings do not go away and actually become much worse over time if they do not seek treatment. When anxiety begins to interfere with job performance, school work, relationships or other daily activities then it is important to get professional help. The way a person experiences anxiety can differ greatly among individuals so specialized treatment is the best choice to help manage a disorder. Our anxiety treatment guide hopes to provide information and help people on the road to recovery. Most people are familiar with what anxiety feels like but the specific symptoms may vary for everyone. When you experience stress your body often activates some of its fight or flight responses which are biological protective reactions to keep you on high alert. Some people may have tense muscles, nervousness or restlessness, a faster heart rate, rapid and shallow breathing, trembling, weakness and difficulty focusing on anything other than their worries. More mild anxiety may involve only a few of these symptoms and they will only last a short period of time. Someone with a disorder may have multiple symptoms occurring regularly. Someone with very severe anxiety could have panic attacks where they experience very intense physical symptoms such as sweating, a sensation of choking, chest pains, difficulty breathing, numbness, or dizziness. Frequent recurring panic attacks could indicate that an individual has panic disorder, a form of anxiety that often requires medication and treatment. The symptoms that a person exhibits along with the kinds of triggers that cause their anxiety can help to categorize their disorder. There are a few different types of anxiety disorders that are commonly diagnosed and treated. One of the most common is generalized anxiety disorder or GAD which means that a person feels anxious most of the time and not just in specific stressful situations. People with GAD have intense and persistent worries that can begin to interfere with their ability to function in life. Another common disorder is social phobia or social anxiety which means that an individual only feels anxious in specific situations involving other people. They might have an intense fear of being judged, criticized or humiliated in social situations such as performances or speeches, conversation with strangers, or eating in front of others. Other kinds of anxiety include obsessive compulsive disorder which can lead to ritualistic behaviors to minimize fear, and post-traumatic stress disorder which occurs after a traumatic event such as a war, accident or disaster. People who have anxious feelings most of the time rather than reacting to specific triggers are more likely to have generalized anxiety disorder. Someone with GAD will have symptoms of anxiety more days than not for a period of six months or more. People with general anxiety may also have some symptoms of social phobia, depression or other disorders along with excessive worrying. 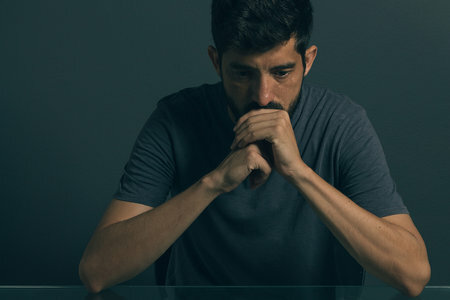 The main issues that characterize generalized anxiety disorder are feeling worried about a number of events and activities, finding it hard to stop worrying and having anxiety that makes it difficult to complete daily activities. People with this disorder may feel restless or on edge, have trouble concentrating, feel irritable most days, have trouble falling or staying asleep and have frequent muscle tension such as a sore back or jaw. Aside from physical symptoms, general anxiety disorder overall leads people to have uncontrollable worries and fears that never fully subside. Anxiety disorders that have specific triggers may involve some different symptoms than general anxiety. With social phobia, a person may have reactions to social situations that indicate they are experiencing intense anxiety such as excessive perspiration, trembling, blushing or stammering when they speak as well as nausea or diarrhea. Someone with social anxiety will likely only feel these physical symptoms when they are in a situation where they fear being judged by others. People with this type of disorder often find ways to avoid triggers or leave a situation as soon as they can when they are anxious. 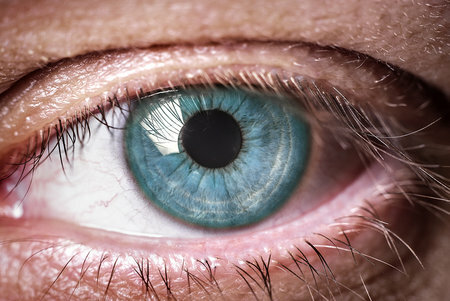 Obsessive compulsive disorder or OCD has some unique symptoms which occur as a reaction to obsessive recurring thoughts. People with OCD may develop rituals or compulsive behaviors as a way to reduce the stress of their recurring anxious thoughts such as excessive cleaning, obsessing over order and symmetry, repeatedly counting items or checking things. People with an anxiety disorder may have periods of intense symptoms that appear suddenly in the form of a panic or anxiety attack. These attacks can often occur at any time or any place but most people can feel when they are about to happen. Although it may seem inevitable that the attack will take place, there are some strategies you can use when you feel the onset of an anxiety attack. When you start to feel some of the physical symptoms such as your heart rate increasing you can try to find a distraction that will help take your mind off of the anxiety. Find something that will help you get out of your head such as calling a friend, talking to somebody about your feelings, focusing on other thoughts or doing mental exercises such as math problems or creating a story. Another technique that can be very helpful in preventing an anxiety attack is slow, deep breathing which naturally helps relax the body. Rapid breathing is actually the cause of many anxiety symptoms so deep breathing is one of the best ways to fight off an attack. If you are in a situation where your anxiety is too intense and these techniques are not working to fight off an attack then you will need to have some strategies to make it through until it subsides. There are some other techniques you can use to help ground yourself or feel calmer in the midst of an attack. You can try to list five things you see, four things you can touch, three things you can hear, two things you can smell and one thing you can taste. This strategy helps you focus on your surroundings and be more present so that your thoughts and physical reactions will stop spiraling out of control. Focusing on your senses and taking note of what is happening in your body can also help get you more in tune with the present. Make sure to keep telling yourself that the symptoms you feel are temporary and they will soon pass. If you find that these strategies are not effective for you or you have anxiety attacks very frequently without being able to prevent them then it may be time to seek treatment. It can be very difficult for someone with very severe anxiety to handle their symptoms without any professional help. If anxiety attacks are beginning to affect your physical health because of the extreme stress and your body’s reaction to your fear then treatment can help improve your well-being. Anxiety attacks might also cause you to miss days at work or school, or affect your ability complete tasks. 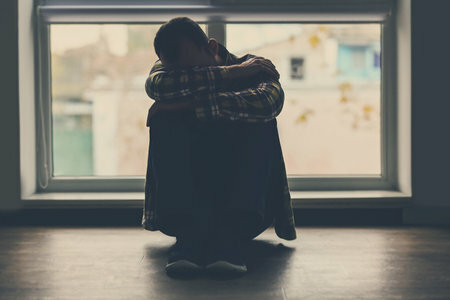 When your anxiety interferes with relationships, treatment can help you improve communication and other issues that are affecting your connection to friends, partners or family. If your anxiety attacks cause you to self-medicate using drugs or alcohol then it is important to get mental health treatment as an addiction will only make your symptoms much worse. The most intense symptoms of anxiety such as panic attacks can be treated with helpful medications. Patients are sometimes given benzodiazepines such as valium or Xanax to be used sparingly only when very severe symptoms occur. Medication taken regularly such as antidepressants including Zoloft or Prozac can minimize day to day anxiety which can also prevent panic attacks from happening. Antidepressants are used as a long-term solution while benzodiazepines are only recommended for short term use because they can become addictive. Each type of medication will have certain side effects so the patient will have to determine which prescription works best to treat their symptoms with minimal reactions. Benzodiazepines can cause side effects such as drowsiness, dizziness, memory problems, headaches and blurred vision. Antidepressants can sometimes lead to fatigue, nausea, weight gain, insomnia and diarrhea. Patients and doctors can work together to find the right medication that works for them mentally and physically. Although medication can be a quick fix for symptoms and help people deal with panic attacks, it does not address the underlying causes of anxiety. Therapy is necessary to treat anxiety because it can help patients understand why they have this problem and it also allows them to develop coping methods and problem solving skills. Many types of anxiety, particularly disorders like PTSD, are caused by certain events which triggered the onset of symptoms. Talking about trauma and some of the root causes of certain negative beliefs gives patients a chance to resolve their complicated feelings. Therapists also help show patients how many of their fears are unfounded or exaggerated. When they understand that their anxieties are not based on reality then it can help diminish their power. The ultimate goal of cognitive therapy is to change the way that a patient thinks so that they can replace negative beliefs with more positive ones. For anyone who feels their anxiety is beyond their control and they need some time away to recover, there are plenty of treatment centers available for help. Entering a residential treatment facility can be a very healing and life-changing experience because it gives people a period of time to really focus on resolving their issues. 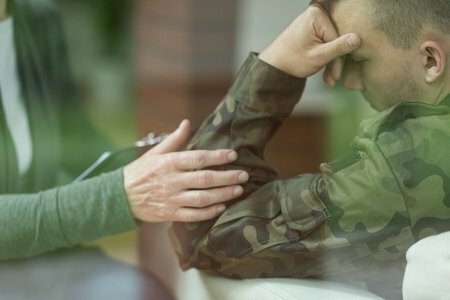 Living in a facility while receiving treatment means you will be surrounded by mental health experts that are there to provide you with assistance and compassion. You will also be among other people who also suffer from an anxiety disorder so that you can talk to peers who truly understand what you are going through. Treatment centers set up a full schedule for patients so that they have plenty of time for individual and group therapy sessions, classes and activities all designed to help them manage their anxiety. This type of treatment plan creates more successful results for each patient. Living in a residential treatment center may not be right for everyone and some people may prefer to stay home while getting help. Outpatient treatment can still be as effective as living in a facility because it involves many of the same programs and therapy sessions created for patients with anxiety disorder. Through outpatient treatment you can continue to work or care for your family as you get the help you need to start managing your symptoms and reducing the severity or frequency of anxiety attacks. It may be a good idea to get an assessment from a psychiatrist to determine if outpatient treatment is the right choice for you. Some people may feel like they have to live with their anxiety and simply cope with this aspect of their personality. The reality is that anxiety is an illness that is treatable and many people can recover from the anxiety disorder. Cognitive therapy, medication and time spent in a treatment center can all work to minimize anxiety so that patients can continue to work, go to school and have fulfilling relationships without their symptoms interfering. Eventually people who receive treatment will find that their worrying and suffering diminishes over time and they are able to face their fears more often. Getting professional treatment is the best thing you can do to handle your anxiety.